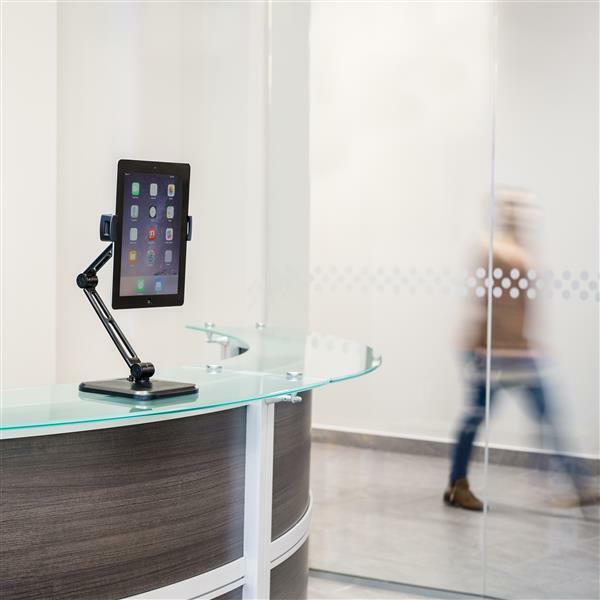 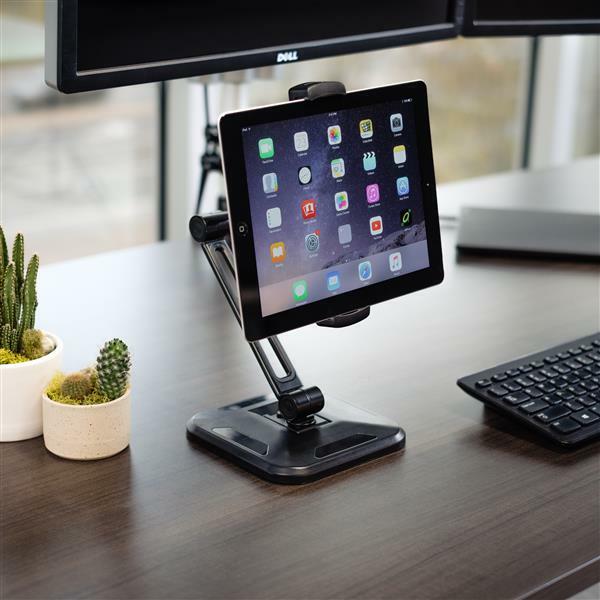 Universal tablet stand supports a wide range of tablets and phones, from 4.7" to 12.9"
Integrate your iPad Pro or other tablet seamlessly into your workspace, with this adjustable tablet stand. 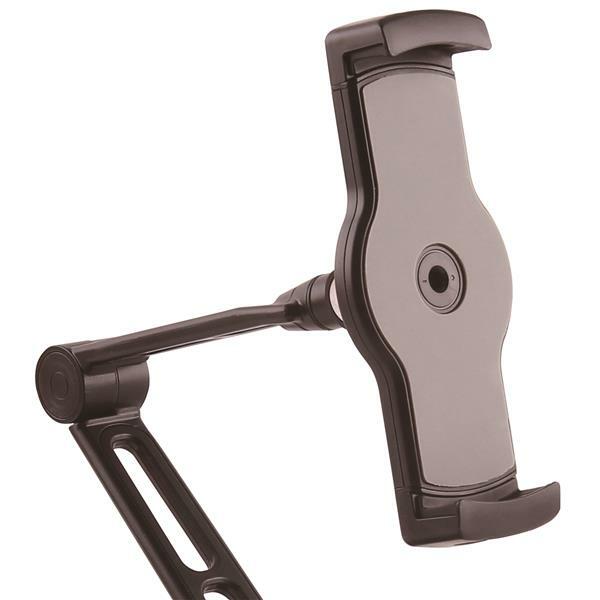 Move the tablet arm up or down and rotate the tablet to adjust your viewing position instantly. 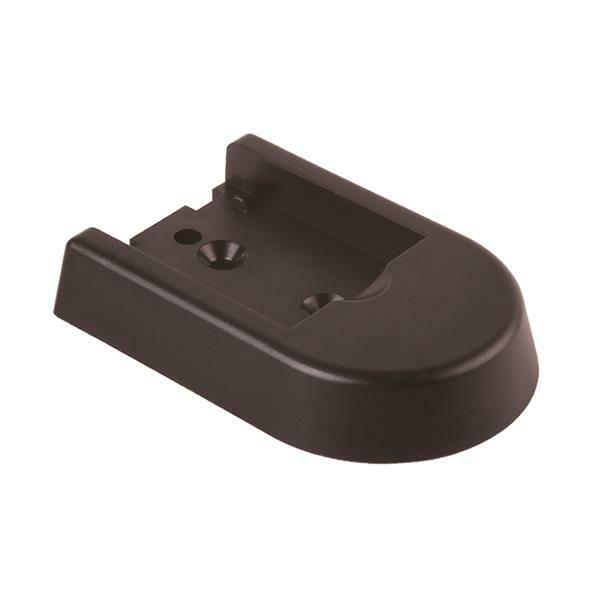 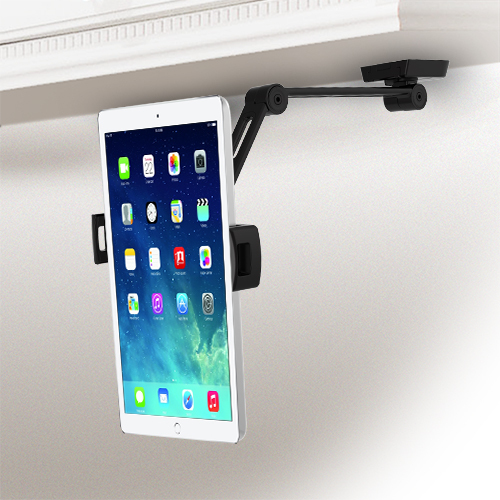 The universal tablet stand rests securely on your desk, or you can mount it to a wall, or on the underneath surface of a cabinet or cupboard. 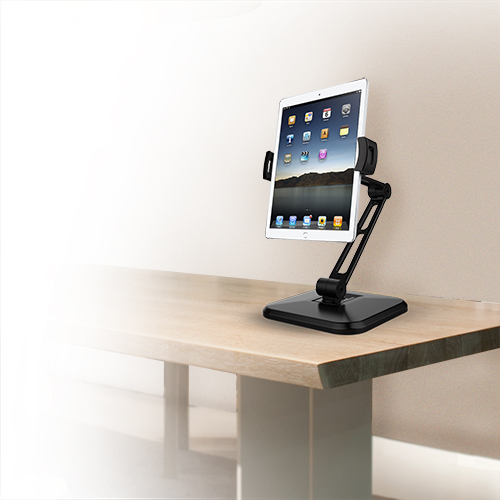 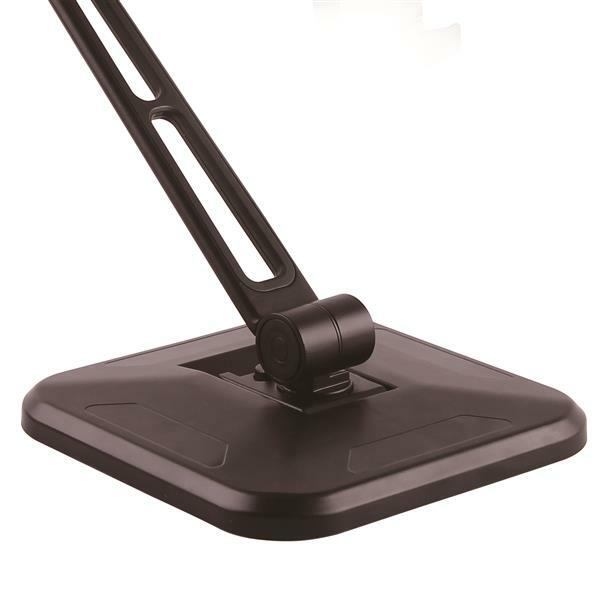 Simply move the tablet arm up or down, with its two movable joints, to position your tablet at the perfect height. The tablet arm pivots 0 / +170 degrees at the base and -40 / +180 degrees at the elbow, to allow easy adjustment of the tablet positioning. 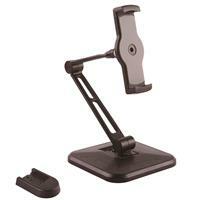 Switch easily from portrait to landscape position, with 360 degree rotation. 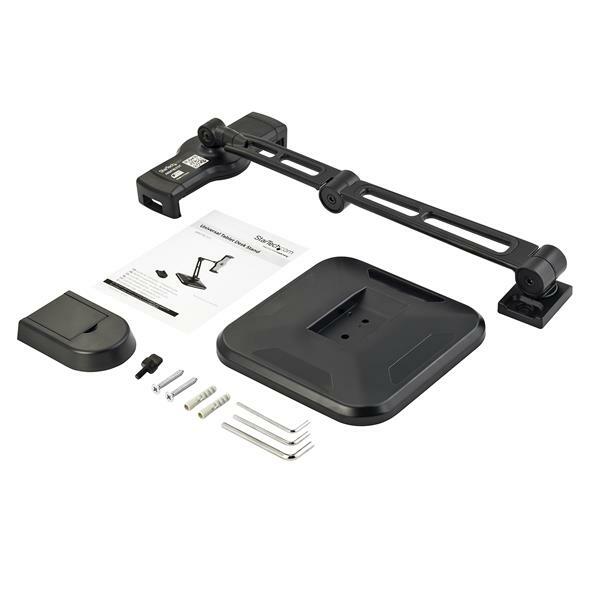 The ARMTBLTDT is backed by a 5-year StarTech.com warranty and free lifetime technical support.